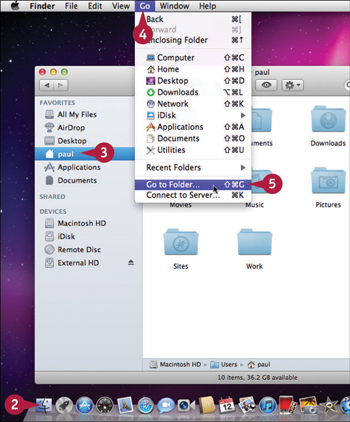 You can use Mac OS X Lion to reset an application’s preferences file, which may help you solve problems you may be having with the application. A preferences file is a document that stores a user’s options, settings, and other data related to a particular application. To specify preferences, click the application’s name in the menu bar and then click Preferences. The application displays a dialog that you use to customize the preferences. When you are done, the application saves the new settings in the preferences file. One of the more common causes of application instability is a preferences file that has somehow become corrupted. Although there is no easy way to fix a corrupt preferences file directly, you can do so indirectly by deleting the preferences file. The next time you start the application, the application detects that its preferences file is missing, so it automatically rebuilds a new — and uncorrupted — file. The downside to this method is that you may have to reconfigure the application’s preferences. 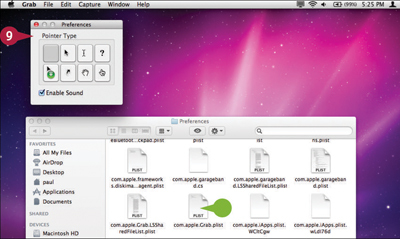 Most preferences files use the .plist filename extension. In most cases, the filename uses the following general format: com.company.application.plist. Here, company is the name of the software company that makes the application, and application is the name of the program. Here are some examples: com.apple.iTunes.plist; com.microsoft.Word.plist; com.palm.HotSync.plist. If the problem application is still running, shut it down. Click your user account folder. The Go to Folder dialog appears. Click and drag the problem application’s preferences file and drop it on the Trash. Your Mac deletes the preferences file. Run the application and set some preferences. 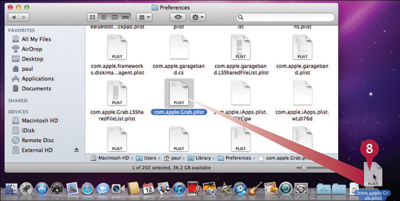 The application creates a new preferences file.